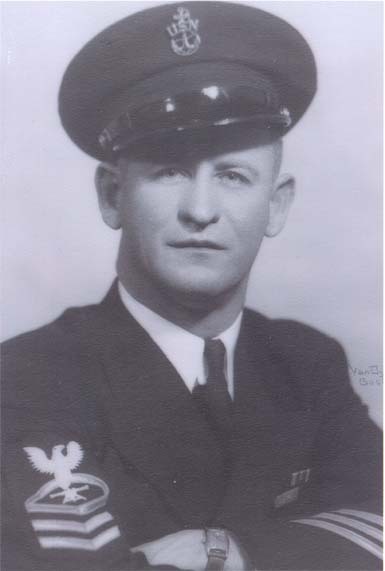 William Duffy Morris was a member of the crew of the USS West Virginia from 1936-1940. 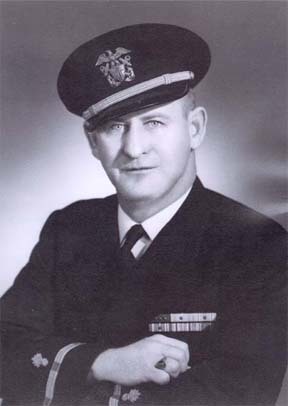 He served on several ships during his career including USS Texas, USS Florida, USS Pennsylvania, USS Augusta, USS Dixie, USS Brusch, and USS Minneapolis. 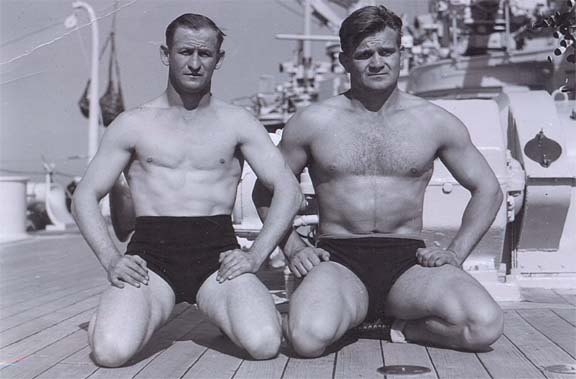 He joined the navy in 1927 after working for the Southern Pacific Railroad for two years. 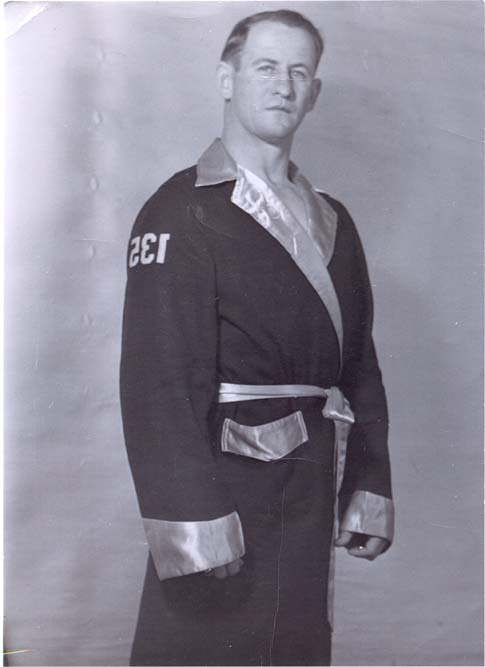 He was the light heavyweight fleet wrestling champion from 1938-1939. 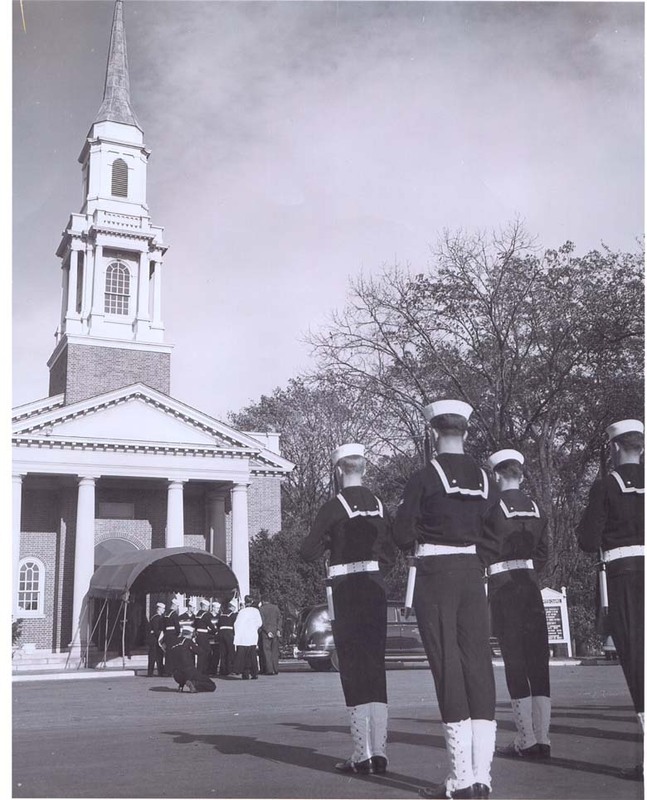 He had been teaching Navy ROTC at Vanderbilt University when he asked to be transferred to California. 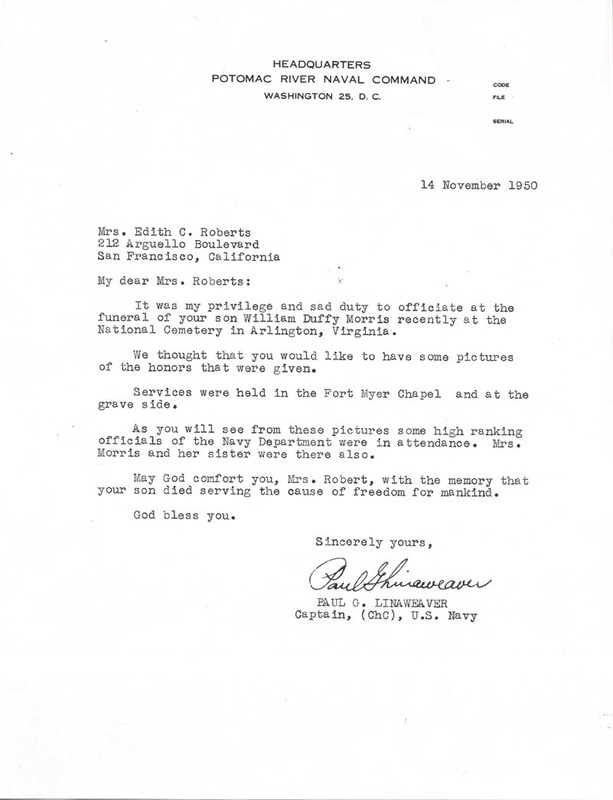 He had put in for his retirement and came to San Mateo, Calif. to visit his family. 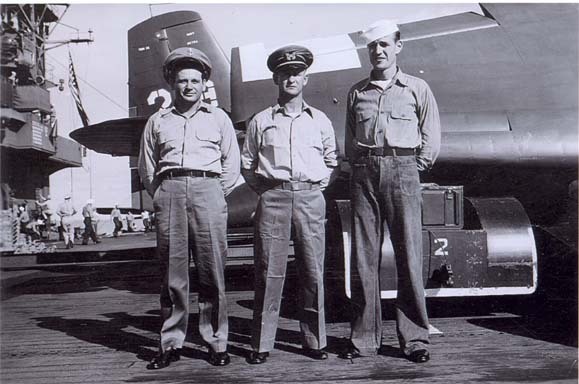 While he was visiting family, he was called up to report to San Diego, Calif. for duty aboard USS Brusch (DD-745). 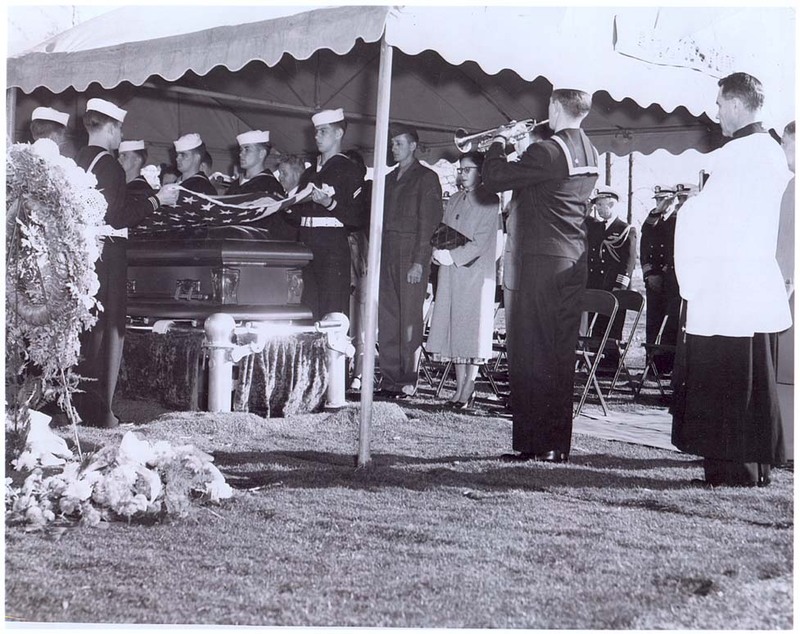 On September 26, 1950 while shelling the shore off Tanchon, Korea, Brush struck a mine, ripping her midships section and breaking her keel. Morris was one of thirteen men who were killed. 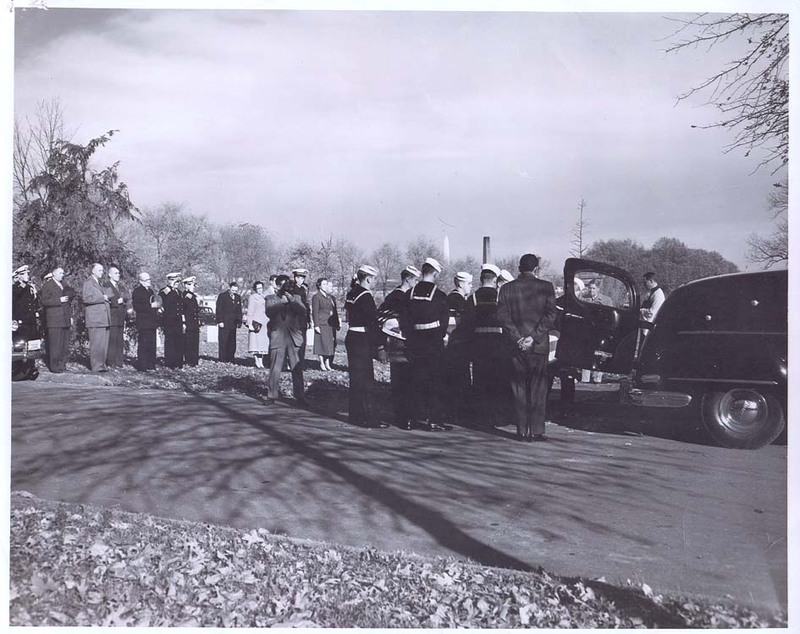 He was the first Navy Korean War casualty to be buried at ArlingtonNational Cemetery.